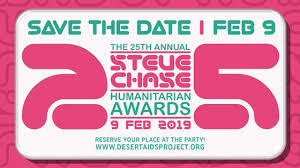 Palm Springs, CA (The Hollywood Times) 12/29/18 – Guests planning to attend the 25th Anniversary of the Steve Chase Humanitarian Awards in Palm Springs on February 9th, now have even more to look forward to. Pop legend Barry Manilow has announced a special performance at the event, which is preparing to celebrate a quarter century of philanthropy for the Desert AIDS Project. DAP provides funds for the care of people living with HIV and raises awareness. The high profile desert event is sponsored by The Hollywood Times, whose Senior Editor, Valerie Milano, is a longtime supporter of the Desert AIDS Project and a part time resident of Palm Springs. 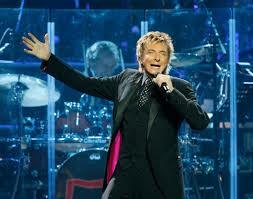 Manilow, a Songwriter’s Hall of Fame inductee and 2017 BMI Icon has had an unparalleled career, culminating in his status as the #1 Adult Contemporary artist of all time, according to both Billboard and R&R magazines. He’s a Grammy, Emmy, and Tony winner, with 27 top 10 hits under his belt. The Desert AIDS Project has raised millions over the past 25 years. 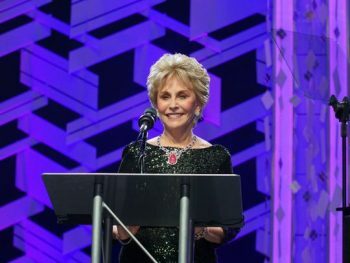 Now, the Humanitarian Awards Gala is a staple on the awards scene in Palm Springs, bringing out the community’s elite and anchoring the presence of philanthropy in the city. The event is named after interior decorator Steve Chase, whose service will posthumously honored in speeches by leaders of the Desert AIDS Project, Palm Springs Art Museum, and the Living Desert. Before the VIP Party, the City of Palm Springs will honor Chase with a Palm Springs Walk of Stars dedication outside the museum. He will also be honored with his eponymous Steve Chase Humanitarian Award for being a foundation of the movement. Geoff Kors and James Williamson will also be honored with the Partners for Life Award for their long history of community leadership and service with issues including LGBTQ rights, education, and healthcare. “Few individuals have made a lasting impact in our community with the purpose and clarity of Geoff and James,” said DAP Chief Development Officer Darrell Tucci. The celebration will include red carpet arrivals to be broadcast live on NBC Palm Springs, cocktails, silent auction and reception, the 7:00 PM Awards ceremony featuring Barry Manilow, and a 9:30 afterparty. 25th Anniversary sponsors include Elgart Aster and Paul Swerdlove, Desert Care Network, The Desert Sun, Grace Helen Spearman Foundation, Living Out, Reaction Marketing, and Walgreens. Media Sponsors include The Hollywood Times, Palm Springs Life, Gay Desert Guide, and CV Independent. To learn more about the Desert AIDS Project, the Steve Chase Humanitarian Awards, or to reserve your place at this premiere social event, visit www.stevechase25.eventbrite.com or call 760-992-0445.